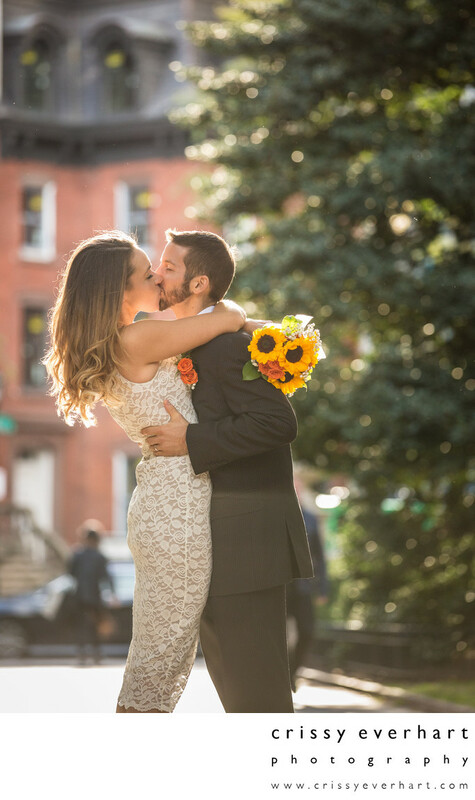 Sunlit photo of newlyweds in Rittenhouse Square, Philadelphia. The bride holds a bouquet of sunflowers after the church ceremony down the street. This couple got married on an island, but had a ceremony and dinner for local friends and family in Philadelphia.